Welcome to Rarities Night 2015! 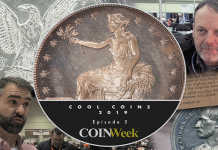 This event is always a highlight of our series of auctions with the American Numismatic Association World’s Fair of Money. 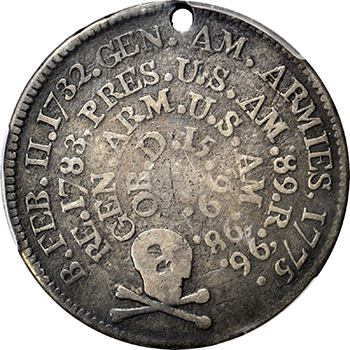 The Skull and Crossbones Funeral Medal in Silver, issued by Jacob Perkins of Newburyport, Massachusetts shortly after the passing of George Washington on December 14, 1799, is one of only a few known (others are mostly of the funeral urn type). 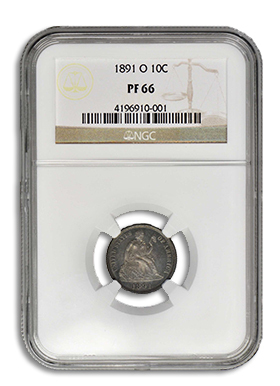 A Superb Gem Proof 1831 half cent with the Reverse of 1836 is a dream coin for the specialist, and the same can be said for the incredible MS-66 RD (PCGS, old holder), 1807/6 cent from the Cardinal Collection. Once sold, no amount of money can secure another. Among the greatest of all Proof rarities of the second half of the 19th century is the 1864 L-on-ribbon cent, and our Rarities Night session offers a Gem with wonderful eye appeal, from my own reference collection, used when I compiled a detailed file. I’ve never seen a nicer one! Among silver coins, an 1831 half dime in Ultra Proof-67 is the stuff of which numismatic dreams are made. Imagine it as a highlight of the finest type set. A lustrous 1798/7 dime with 13-Star Reverse will command attention. The first Carson City dime, the 1871-CC, when seen (and that is not often), is usually well worn. From the Genoa Mill Collection we offer a remarkable Mint State 1871-CC Liberty Seated dime. Also eyebrow-lifting is a believed unique Proof-66 1891-O branch mint dime from an unlisted obverse die. Some lots later you will find a Gem Proof 1828 quarter that traces its pedigree to the Lorin G. Parmelee sale in 1890. A seldom-seen Gem Proof 1848 quarter is also notable. What to say about an MS-67 1865-S quarter. How about: Wow! Early half dollars in our Rarities Night sale include high-grade early issues, a Specimen 1839-O, and others, continuing into the Liberty Seated series with a number of key pieces. A gem Proof 1839 Gobrecht dollar will draw bids from all directions. The rarest Carson City dollar is the 1873-CC, of which one of the finest known is offered and will be a focal point of interest, as will a 1922 High Relief Matte Proof. Gold dollars and quarter eagles have many highlights, including in the latter series a Mint Sate 1802/1, a remarkable Gem Proof 1859 once owned by Amon Carter, Jr., and an Ultra Gem Sandblast Proof 1915, this being the last year of the Proofs. Half eagles commence in the 1790s and continue to include many highlights through the early 20th century. The same can be said for eagles. Double eagles follow suit, with a Specimen 1851-O, an MS-66 MCMVII, and others. Territorial gold coins, patterns, mint errors, and more round out the evening’s sale. 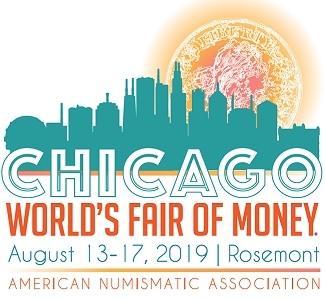 If you plan to attend the World’s Fair of Money in Chicago, the red carpet will be rolled out for you for this and the other sales events we will hold during the week. If your schedule permits, come to Room 6 in the Convention Center at 10:00 on Wednesday to be a part of my “Great Collectors and Collections” program for Money Talks, which will last about 45 minutes. 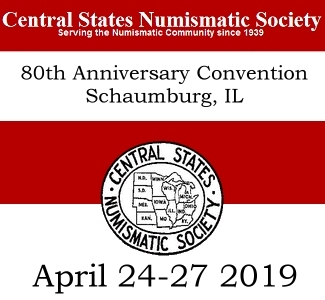 In the same room at 2:00 in the afternoon you are invited to a 45-minute forum moderated by Christine Karstedt in which Larry Stack, Harvey Stack, and I will share anecdotes past and present and invite questions on any subject. And, while you are at the show, stop by and visit our tables in the dealers’ bourse. If you are staying at home—good news for you. Using our dynamic Internet site you can participate in virtual reality—in real time watching our auctioneer at the podium, seeing the item being offered, and employing an enticing green “Bid!” button! With advance preparation with us you can also arrange to bid by telephone on important lots. Whether you live in Tacoma, Zurich, Hong Kong, or Sarasota you will be “here.” It is amazing how worldwide our auctions have become in recent years. If so, let our success be your success. If you have a fine collection for sale—large or small—or interesting duplicates, or other valuable items, tap into the world’s finest rare coin auction service. 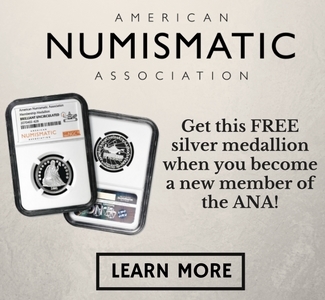 For generations, ever since our first auction in New York City in 1935 and continuing to the present day, we and our antecedents have handled more fine collections and more rarities than any other coin auction firm in the world. As you read these words we hold the records for the most valuable collections ever sold and the highest single prices ever achieved for rare coins at auction. While great collections and rarities make headlines, in reality the vast majority of our worldwide business is done with more modest consignments, from $10,000 upwards into the hundreds of thousands of dollars. In recent times we have added our Internet sessions and monthly iAuctions to accommodate in a first-class manner many coins, tokens, medals, and bank notes of lesser value. Consignment opportunities beckon for the rest of the year and into 2016, including our Rarities Sale following our D. Brent Pogue Collection Part II Sale to be held in New York City on September 30, our autumn auction with the Whitman Coin & Collectibles Expo in Baltimore (a prime venue for colonial and early American coins as the Colonial Coin Collectors Club will be holding its annual convention there), and many more. 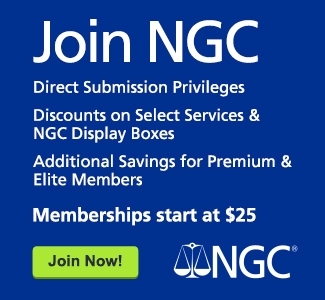 For one low, competitive commission rate we will take care of everything: visiting you to make arrangements and pack your items (for larger consignments), receiving your items at our end by insured carrier at our expense (for most consignments), insurance, publicity, cataloging by the world’s most accomplished team of professionals, superb graphics, and more! All you need to do is cash our generous check! Right now the market is very strong worldwide. Make our success your success and sell your coins in one of the hottest markets in history. A win-win experience awaits you.